Whether you have an older RV or you’ve just invested in a new one, there’s probably something about your RV that could be improved. You might have an outdated fridge that doesn’t keep things as cold as it used to, or maybe your carpet isn’t quite the quality you’re looking for. RV remodels can be performed at a price that doesn’t break the bank, and you may find yourself surprised at the difference new furniture and appliances make when you hit the road. MobileTech RV Repair is Houston’s go-to resource for RV remodels and RV furniture replacement. Read on to learn a few ways that you can remodel your RV for a great new look. Give us a call at 936-228-8980 or send us a message online to schedule an appointment! Whether you travel in your RV in the summer or you live in your RV full-time, your RV’s floor is probably beginning to display its age. Maybe you’ve gotten water on your carpets after a day of fishing, or perhaps you’ve accidentally muddied your floor up after returning from a hunting trip. Replacing your RV’s floor is one of the best ways to breathe new life into your RV and improve its resale value. One thing to think about before replacing your RV’s floor is the primary use of your RV. Carpet is probably the easiest and least expensive material to install, but it’s also likely to show signs of wear and tear more quickly than other flooring alternatives. If you live full-time in your RV, you may want to invest in a carpet cleaner in the event that you or a guest spill something on the floor. While purchasing new carpet and a carpet cleaner may cost more than you expected, it’s cheaper than replacing your carpet several times. Another popular RV flooring option is hardwood flooring. Hardwood flooring requires a bit more maintenance than carpet, but it will certainly add a touch of elegance and class to your RV’s interior. You may want to consider hardwood flooring for your RV if you use it seasonally and often invite guests over and entertain. A third flooring option that is popular among RV owners is laminate flooring. 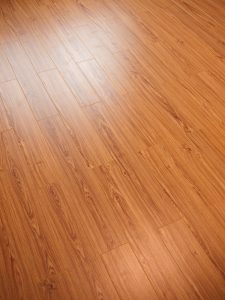 Laminate flooring is easy to install and maintain, and it is significantly lighter than hardwood flooring. However, laminate flooring is highly sensitive to water, and you may want to go with one of the other two flooring options noted above if you spend a significant amount of time in the water. If you’re not sure which RV floor replacement is right for you, all you have to do is call the experts at MobileTech RV Repair at 936-228-8980. Let’s be honest – the furniture that comes in a standard RV is decent, but it’s not great. Standard RVs usually come equipped with at least one bed, a breakfast nook, a few seats, and perhaps a couch that you can sit on while you play games with your family and friends. Whether you have plush material or leather covering your furniture, you should consider investing in new furniture for your RV. If you have guests riding in your RV or you have someone sleeping on your couch, you want them to be as comfortable as possible! If you’re going to take the time and spend the money reupholstering your furniture, why not spend a bit more and invest in new furniture that will last you for years to come? Contemporary RV refrigerators are much more efficient than their predecessors. Most RV refrigerators can switch between electricity and gas to ensure that your food stays chilled or frozen at all times. However, if you notice that your RV’s battery or gas reserves are being quickly drained by your refrigerator, you may want to contact MobileTech RV Repair for an RV refrigerator repair. We can inspect your fridge to see if there are any areas where cold air is escaping, potentially saving you a lot of energy. 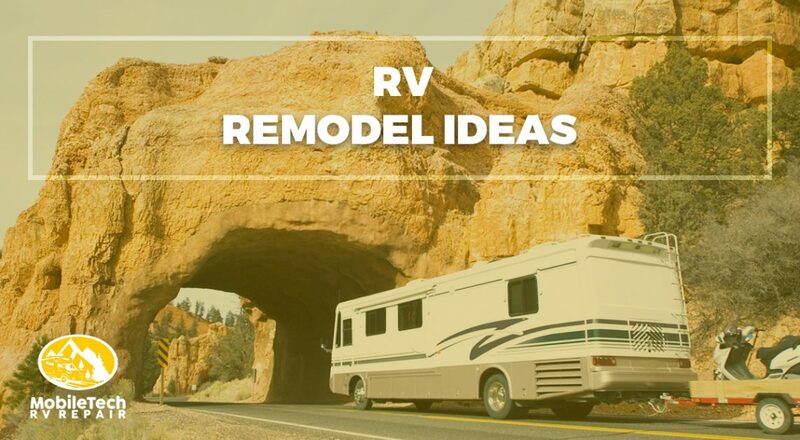 Stay tuned for future posts in which we’ll continue to provide you with great RV remodel ideas. If you need RV service or RV repairs, look no further than MobileTech RV Repair! We’re proud to serve Houston residents and visitors alike – call us at 936-228-8980 or contact us via our website to schedule an appointment!